This substantial 2007 (a blend of 60% Cabernet Sauvignon and 40% Merlot) exhibits a deep ruby/purple-tinged color along with a big, sweet kiss of licorice, forest floor, tobacco leaf, black currants, and cherries. It possesses a lovely texture, a round, ample mouthfeel, sweet tannin, and low acidity. It is drinking well now, and should continue to evolve for a decade or more. Drink 2010-2020. Tasted blind at the 2007 Bordeaux horizontal in Southwold. 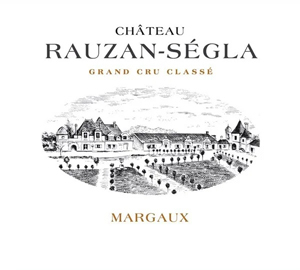 The Rauzan-Segla 2007 has a very intense nose of peppermint and exotic fruits, a bit of Oz in Bordeaux, but still well defined. The palate is medium-bodied with taut tannins, pinched at the moment and spicy towards the dry finish. A wine that is not quite sure what it wants to be? A second bottle is a little better showing more harmony and panache with a seductive Burgundy-like finish. Very lightweight nose, with some very snazzy tannin management and a bit of real vigour on the palate. Some fruity core here, though a fairly watery finish. But at least the texture is well done even if there’s not so much flavour nor quite enough freshness. Good full red-ruby. Aromas of sweet boysenberry syrup, menthol, tar, licorice and minerals. Rich, fruity and slightly warm, with berry, licorice and chocolate flavors dominating. Finishes with fairly supple tannins and moderate persistence. Intense purple-red, very fine fragrance on the nose, lifted Cabernet fruit and shows lovely florality and elegance, very good depth of fruit on the palate, combining ripeness and precision and purity, a wine that already shows extremely well and can only improve. Drink 2013-25. 4 stars.